Alistair Thom is to become the new managing director of Freesat from 2015, with existing Freesat boss Emma Scott leaving the company after 7 years. 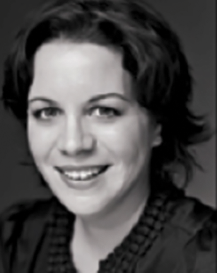 Emma Scott (pictured) has overseen the growth of Freesat from the very start, initially as Launch Director at the BBC before becoming Managing Director in 2007. Freesat’s subscription free television service is now used in nearly 2 million homes. In a statement, Emma Scott said: “I am immensely proud of what we have achieved at Freesat since our inception seven years ago. Freesat now offers viewers who do not wish to pay a monthly subscription a state of the art connected television service." Emma Scott confirmed she was leaving to "seek new challenges in the digital media industries". Alistair Thom will become Managing Director of Freesat from the 1st January 2015. Alistair is currently Freesat’s Finance Director and Company Secretary, and has been with the business since 2011. Alistair previously worked at KPMG as a consultant; earlier in his career he spent five years at BSkyB. He will work with the Freesat Board as the shareholders look to build on Freesat’s success to date.